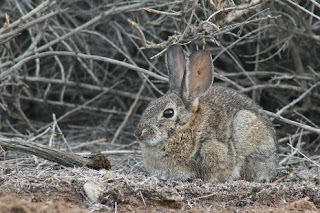 Medium-sized cottontail, with relatively long ears; pelage rather harsh, but not so harsh as in the swamp rabbit; hind feet relatively slender and with relatively short pelage; auditory bullae large, with rough surface; ratio of length of ear to length of hind foot 0.66 or more; upperparts dark buffy brown, heavily lined with black; rump not conspicuously different from back; top of tail like back; nape bright rusty, almost orange rufous; front and outside of forelegs dark ochraceous buff; hind legs brownish cinnamon; underside of neck brownish buff; rest of underparts and under-surface of tail clear white. External measurements average; total length, 418 mm; tail, 73 mm; hind foot, 86 mm; ear, 60 mm. Weight, 0.5-1.4 kg. Occupies upland habitats in the western one-half of the state. This species appears to be adapted to a variety of habitats, varying from grassland to creosote brush and cactus deserts. Wherever it may be, it frequents brushy areas or, where the vegetation is short, the underground burrows of prairie dogs, skunks, and so forth. In the Trans-Pecos it is often found in thickets of catclaw (Acacia), mesquite, allthorn, and other desert shrubs, and especially in prairie dog towns in short grass areas. In the plains regions it is so commonly associated with prairie dog towns that it is known locally as "prairie-dog rabbit." 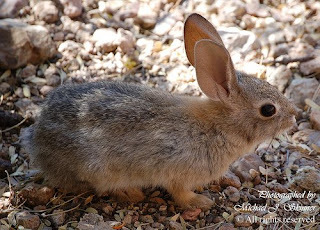 Like other cottontails, these are more active in the twilight hours and at night, but they may be more or less active through the day. They are more or less sedentary and seldom range more than 360 m from their preferred thickets around and in which they feed, sleep, court, and rear their families. Unlike most other cottontails, they are known to climb sloping trees and thick brambles, and are not inclined to use beds when resting. 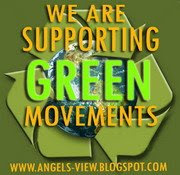 However, these habits vary from one region to another. The food is almost entirely vegetation, the kinds eaten varying with availability. In western Texas, they eat the leaves and green pods of mesquite, various grasses, forbs, bark and twigs of shrubs, and the juicy pads of prickly pear. The breeding season is long. In Texas, onset of breeding begins in February and pregnant females, lactating females, and young in the nest have been found in every month except January, July, and October. There may be two or more litters a year. The number of young per litter varies from one to six, averaging about three. 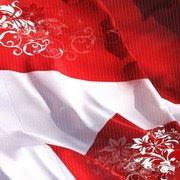 The gestation period is not known, but it is probably about 26-27 days. 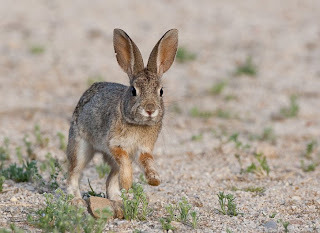 As with other cottontails, the young are reared in nests which are made in pear-shaped excavations in the ground with the entrances only about 5 cm in diameter. Below, they are flared out to a width of 15-25 cm; the depth varies from 15 to 25 cm. They are lined with a layer of dried grasses, and the inside is filled entirely with rabbit fur in which the young repose. The female lies or squats over the opening to nurse her young, which are blind and hairless at birth. By 10 days of age the eyes have opened and within another 4 days the young are able to move outside the nest, although they remain near the nest for about 3 weeks. The life span is 2 years or less. 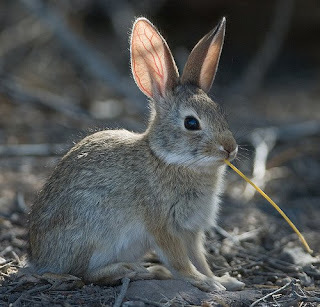 Desert cottontails are known to be preyed upon by golden eagles, marsh hawks, Swainson’s hawks, horned owls, barn owls, gray foxes, and gopher snakes. Doubtless, many other animals also feed upon them.